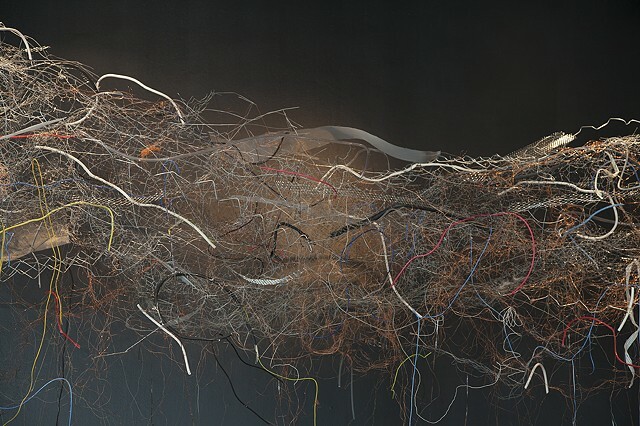 With David Janesko and Heejin Jang. 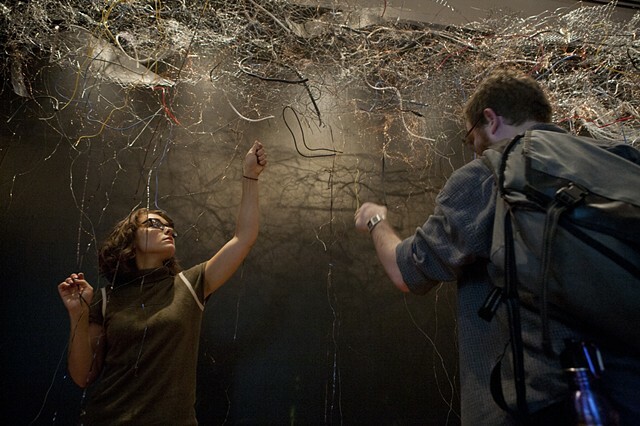 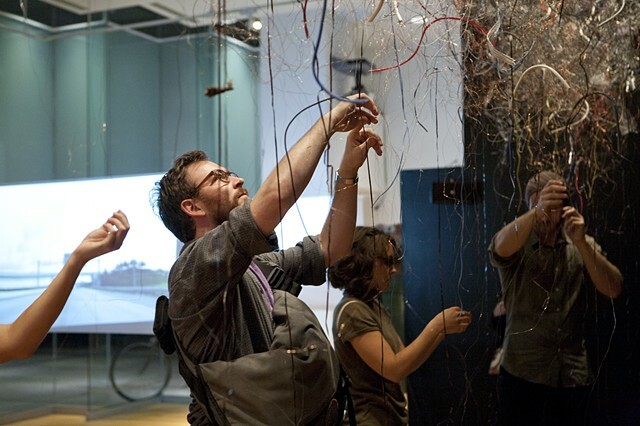 Mind the Void creates a complex system of wires and cables that evokes the visceral experience of physicality: a broken arm that wants to keep touching, a torn artery, a creature that has exposed its guts. 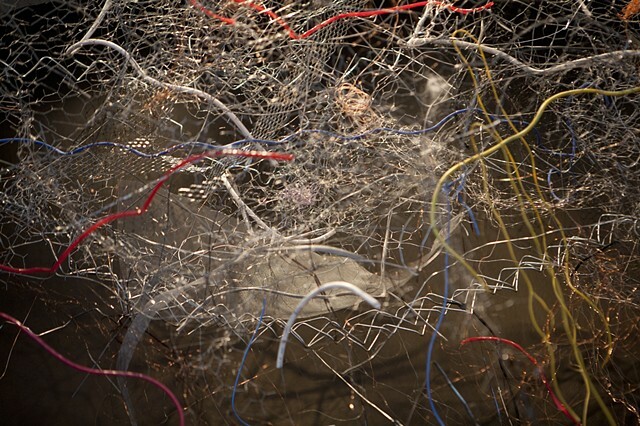 It also suggests the chaotic nature of the constant networking in our emerging digital culture. 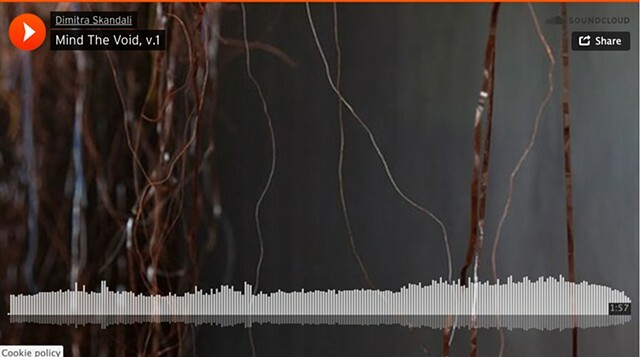 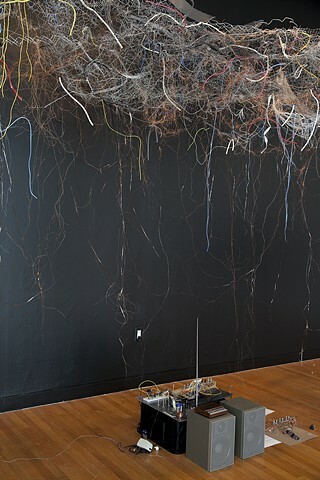 Mind the Void manifested in a mixed media sound performance between David Janesko, Heejin Yang and me, references a link between voices and assumes the role of an antenna that invites its listeners to absorb its signals and send them back. 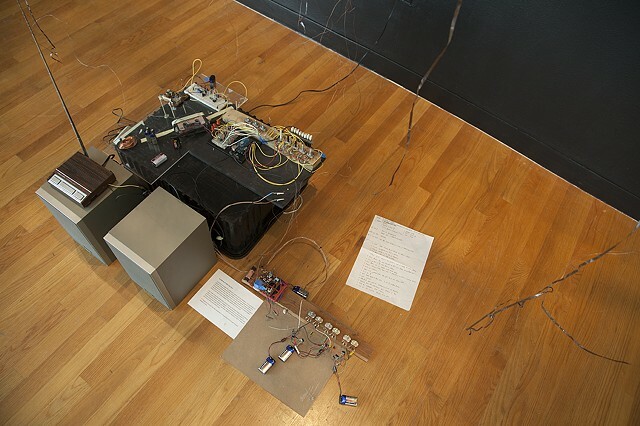 The sculpture acts as a connection line between a series of hacked portable AM/FM radios modulated and distorted by oscillators. 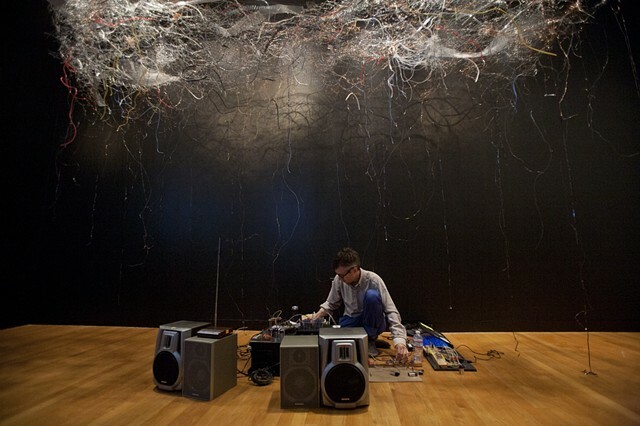 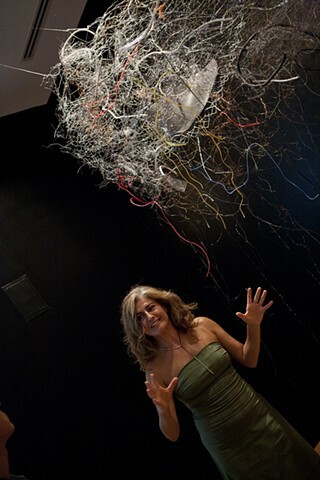 The sound is a combination of the local radio stations, radio signals generated by the electronics and the absorption effects of the people present in the room and touching the sculpture. 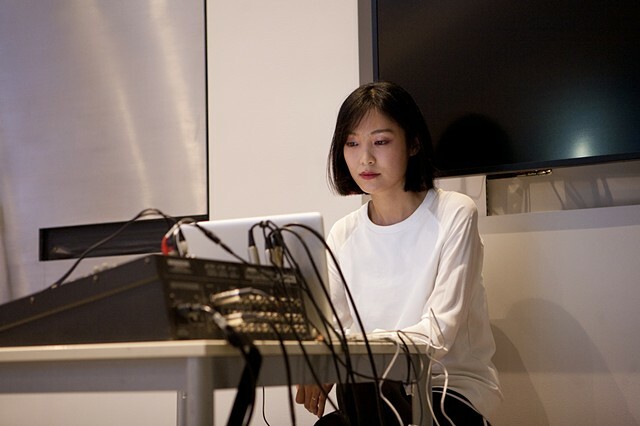 In her performance, Heejin improvised a score of live noise to create a reverberating force that gets one lost in the echoes of invisible itineraries to the outer world. 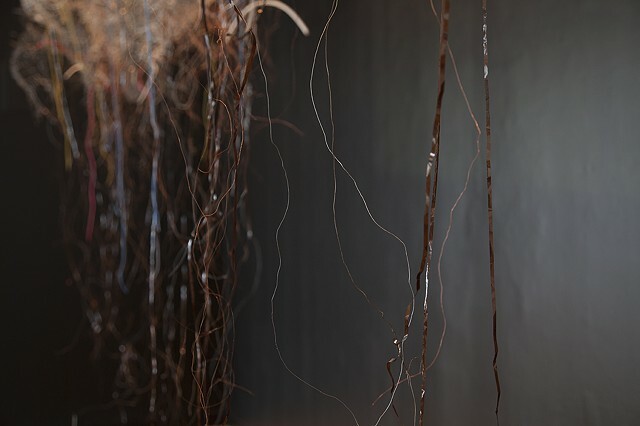 Her performance addressed a moment when the countless struggle to establish a sense of connectedness eventually transforms into a monster that overwhelms the physicality of life. 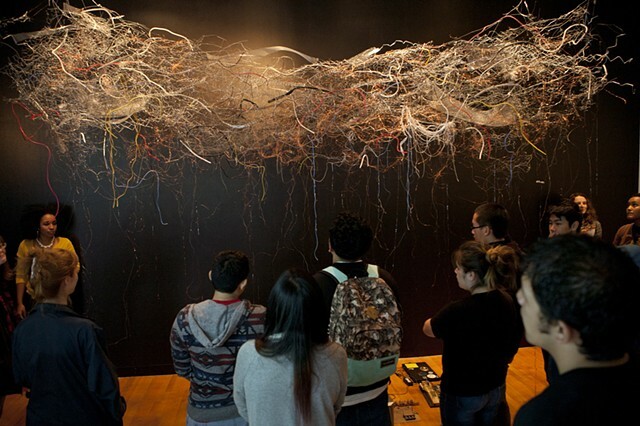 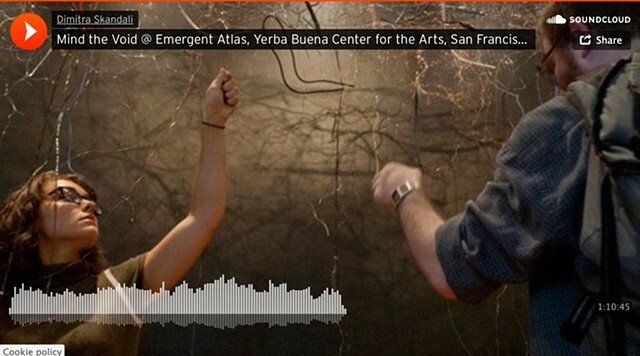 Courtesy of the artists, Don Soker Contemporary Art, and Yerba Buena Center for the Arts.